With over 60 years of experience in decorative high-pressure laminate manufacturing, Montreal-based Arborite delivers inspired contemporary surfacing solutions. For more than 35 years, ATI Decorative Laminates has been a distributor and manufacturer for a variety of decorative laminate products. For nearly twenty years, Avonite Surfaces™ has been recognized as the innovator in surfacing. Founded in 1987, Caesarstone was an early pioneer of the natural quartz surfaces market. Helmitin Inc. is your global resource for comprehensive adhesive solution by providing groundbreaking innovations. The team at Integra has been involved with the surface industry since the mid 1980’s and has extensive practical knowledge and experience with all facets of fabrication. Karran USA continually pushes the boundaries of design and engineering capabilities. The Wood Welded® Companies have been building the world’s best hardwood butcher block since 1881. OKITE® Italian Quartz is superior in strength to marble and granite and offers unique color options, including three translucent designs and the whitest white made using natural materials. With over 60 years of experience in decorative high-pressure laminate manufacturing, Montreal-based Arborite delivers inspired contemporary surfacing solutions. The company excels in supplying designers, architects, and specifiers with the perfect laminate for any space, allowing them to choose from a range of premium textures and over 200 colors. All Arborite laminates are GREENGUARD Indoor Air Quality Certified, and over 50% of their product offering is certified by the FSC. From their base in Montreal, Arborite has been bringing decorative high-pressure laminate to the design community with inspired contemporary surfacing solutions since 1947. In addition to its wide range of offerings, Arborite is known for its solid reputation of customer service, quality, and reliability. 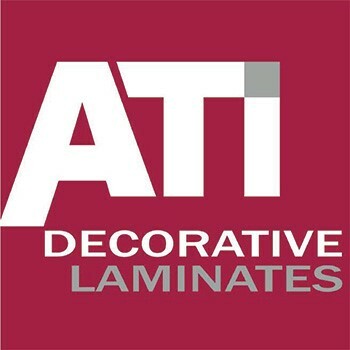 For more than 35 years, ATI Decorative Laminates has been a distributor and manufacturer for a variety of decorative laminate products. ATI breaks itself down into three platforms of products: NuMetal, MirroFlex/MirroFlex Structures, and Fusion. ATI has hundreds of patterns and color combinations to choose from. Since 1979, ATI has been a leader in decorative thermoplastic laminates that can be used in both commercial and residential designs to transform the space. For nearly twenty years, Avonite Surfaces™ has been recognized as the innovator in surfacing. Their facility in Belen, New Mexico has a rich heritage of challenging the status quo and establishing new benchmarks that define what surfacing is and can be. Avonite is the only manufacturer with the capability of making acrylic solid surfacing in 1/8", 1/4", 1/2", or ¾”, along with customized widths and lengths. Founded in 1987, Caesarstone was an early pioneer of the natural quartz surfaces market. Its dominant position in the market has been achieved through continuous investment, extensive research and development, highly trained personnel, and an advanced market infrastructure. Caesarstone evolved a new kind of work surface by adding quartz to the Bretonstone process. The manufacture of slabs from a mixture of ground quartz aggregates, pigments, and polymers proved to be the unique process necessary for this new generation of surfacing. As a result of this advanced technology, Caesarstone is able to provide improved products with unprecedented physical properties superior to those of marble, granite, and other manufactured surfaces. For more than a decade, Caesarstone has set new standards in innovation and craftsmanship, and they continue to set the trends in the industry. Caesarstone is available in Wisconsin, Minnesota, North Dakota, and South Dakota. 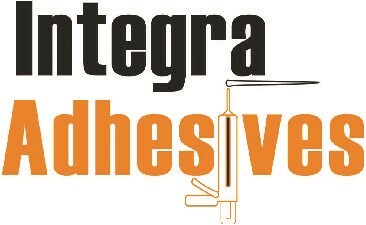 Helmitin Inc. is your global resource for comprehensive adhesive solution. This company provides groundbreaking innovations, industry-leading green initiatives, and unrivaled customer service to each and every one of their valued customers. With thousands of companies relying on their experience, expertise, and service, Helmitin understands that your adhesive needs play a major role in the success of your business. As your trusted partner, it is Helmitin's job to make sure that your needs are met from start to finish. The team at Integra has been involved with the surface industry since the mid 1980’s and has extensive practical knowledge and experience with all facets of fabrication. Integra focuses on the needs of its customers by consulting with fabricators and delivering products that meet industry needs. Integra is proud to offer quick response, in-stock colors for immediate shipping, high strength products, long open time with fast cure, industry-leading color options, and customized products for special applications. Combine these elements with Integra’s proactive approach to developing improved dispensing systems for increased performance, reduced breakage, and less wasted materials, and it is easy to see how Integra adds to its customer’s bottom line by lowering overall fabrication costs. As the pioneers of undermounting sinks to laminate countertops and the seamless integration of stainless steel sinks into solid surface, Karran USA continually pushes the boundaries of design and engineering capabilities. Karran strives to create sinks that inspire, address real world issues, and are practical, beautiful, and affordable. Karran focuses on breakthrough technology and new ways of thinking. They were the first company to develop an undermount solid surface sink that was thermoformed, the first to introduce a line of acrylic sinks that could be undermounted to laminate, and the first and only company to develop a line of stainless steel sinks that could be seamlessly undermounted to laminate and solid surface. Their product offering includes acrylic solid surface sinks, stainless steel sinks, and quartz sinks. The Wood Welded® Companies have been building the world’s best hardwood butcher block since 1881. From stunning kitchen countertops to safe and sensible food prep surfaces to sturdy industrial workbench tops—Discover why wood just works. Wood Welded®, the original innovator of laminated butcher block surfaces, offers countertops and kitchen island tops in a variety of wood species, sizes, and edge styles. From stock sizes to custom configurations, the company's flexible fabrication methods allow them to craft a butcher block surface specific to your needs. OKITE® quartz surfacing is the culmination of years of intense research and refinement by Seieffe Industrie, one of Italy’s most renowned producers of household surfaces. OKITE® is manufactured exclusively in Italy using Breton® technology and is stocked in North America for minimal lead times. Five times stronger than marble or granite, OKITE® quartz surfacing is resistant to scratching, heat damage, and staining, and its non-porous surface makes it easy to clean and maintain. Available in a variety of colors, including translucent designs and the whitest white made with natural materials, OKITE® allows for a full expression of your creativity. OKITE® is available in Illinois, Indiana, Iowa, Kansas, Missouri, and Nebraska.